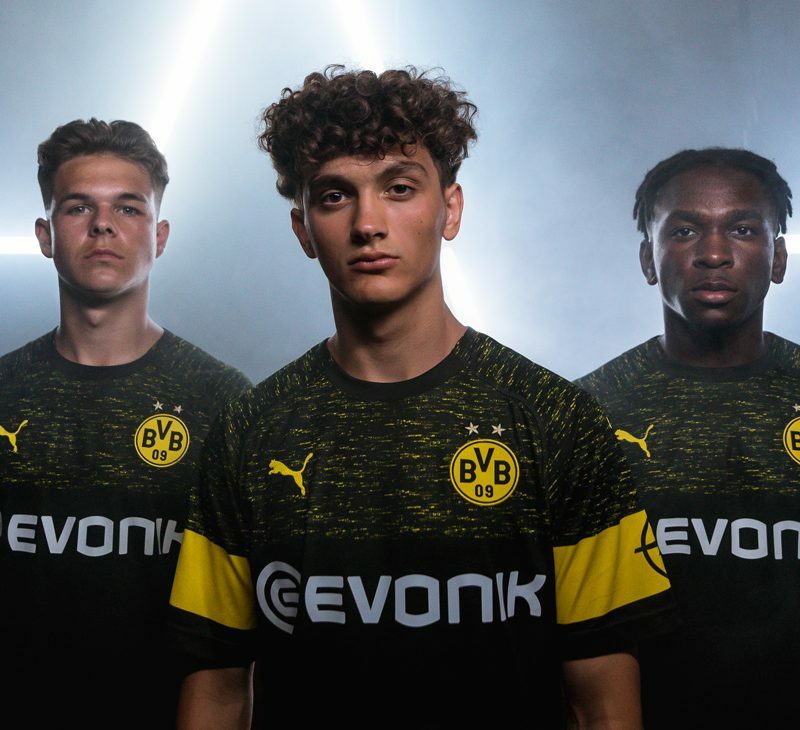 The Borussia Dortmund 18-19 away kit has been revealed. It is set to be officially released this evening. 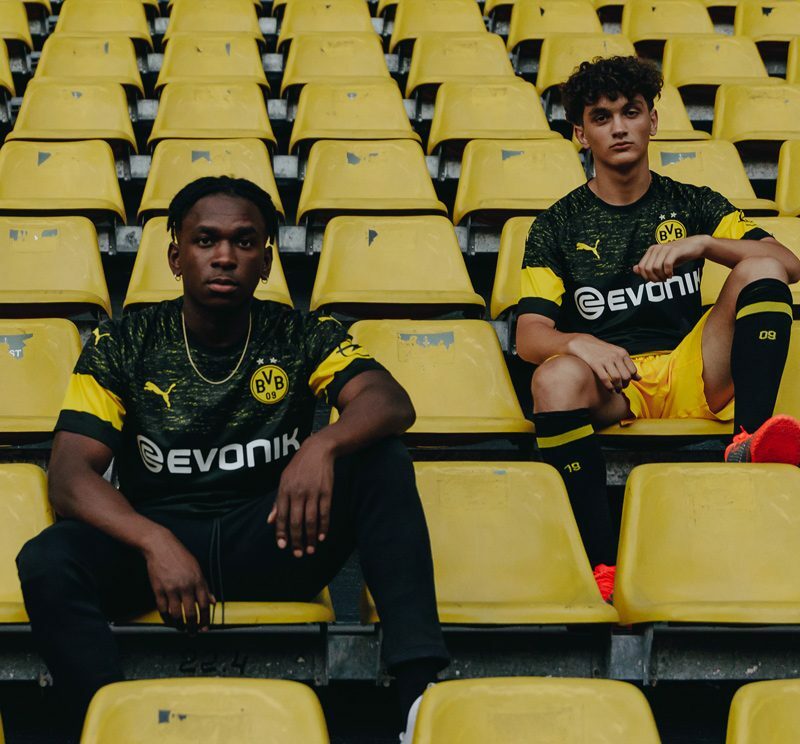 The Puma Borussia Dortmund 2018-2019 away kit introduces a clean design with a bold melange print on the upper front, back and sleeves, complementing the more straightforward home uniform. 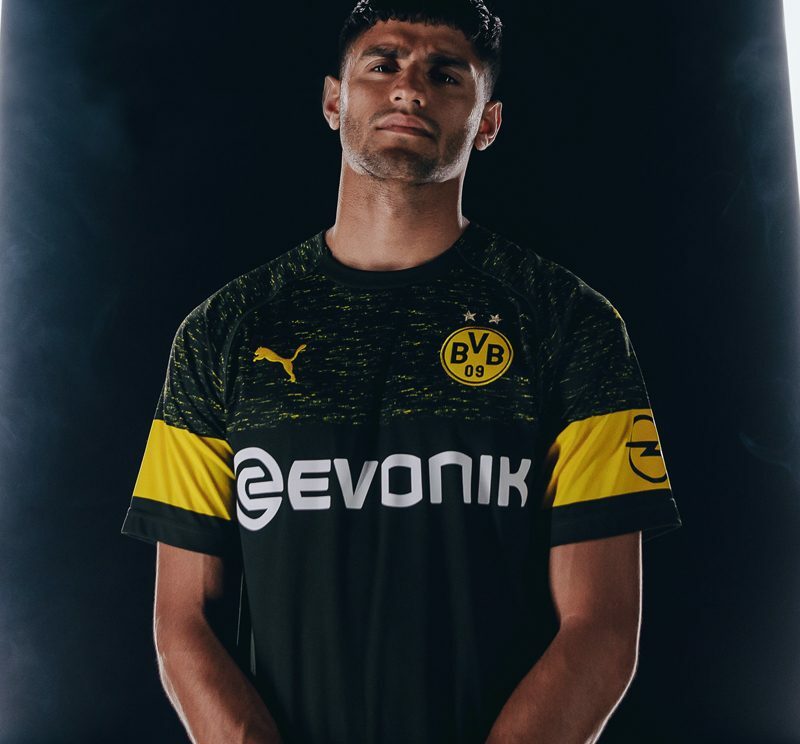 Sharing a basic design language with Puma’s other 2018-2019 club jerseys, the Dortmund 18-19 away shirt features a yellow melange print on the upper front, back and sleeves. 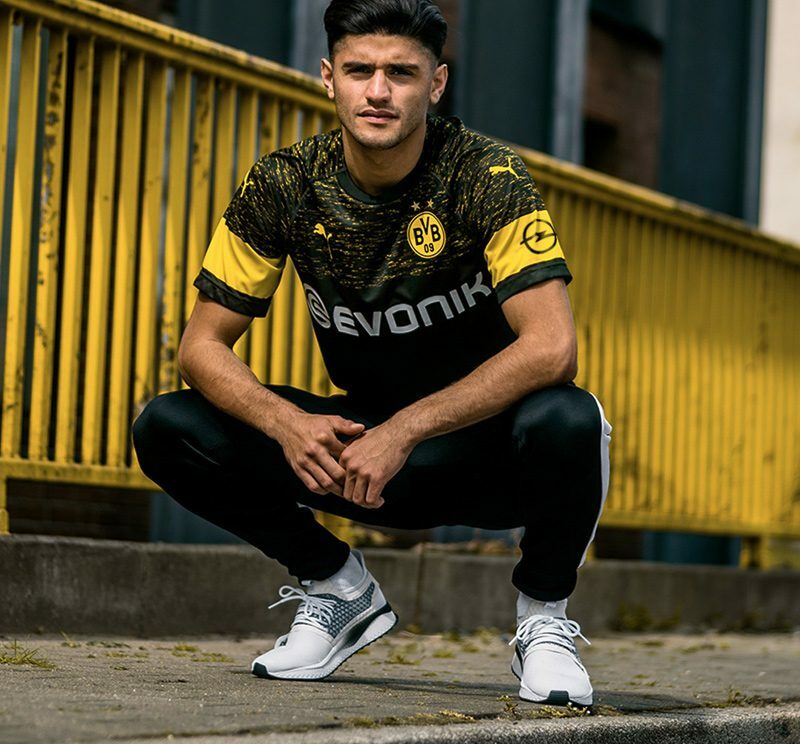 Yellow shorts and black socks will complete the Borussia Dortmund 2018-2019 away kit.